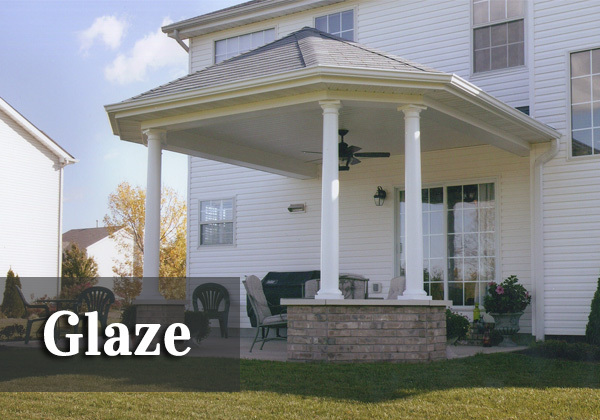 Having The Orchards golf course in your back yard is a plus, but when the back of your house has all of the hot summer sun from about 12:00 on, it can be hard to enjoy the view. 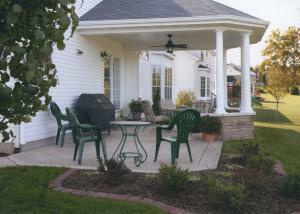 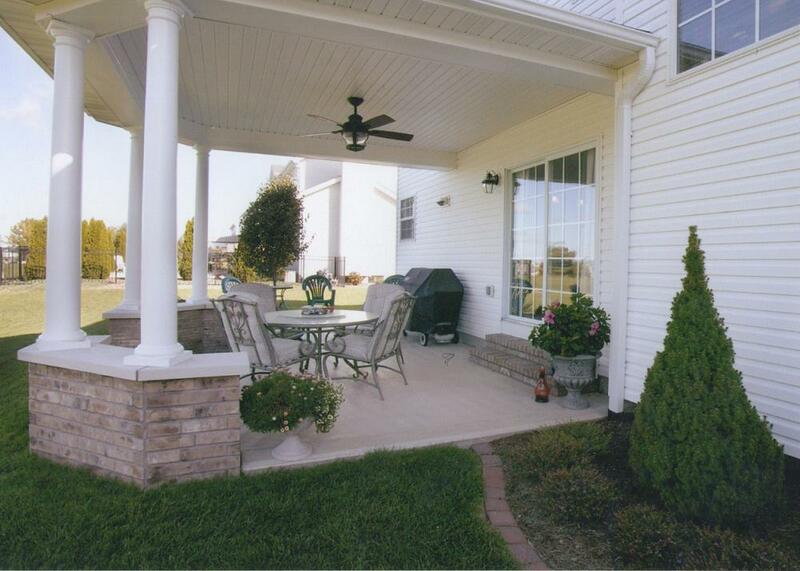 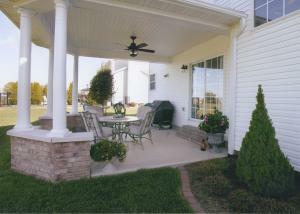 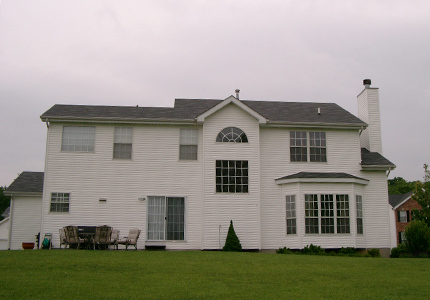 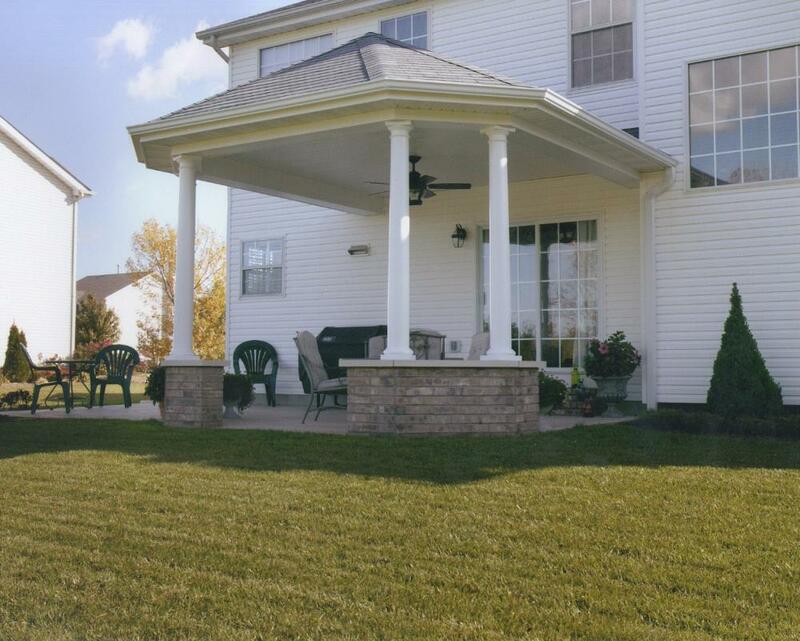 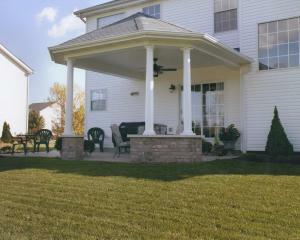 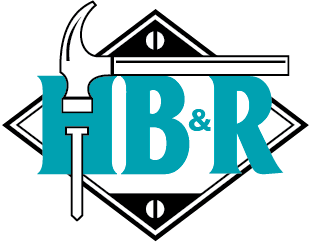 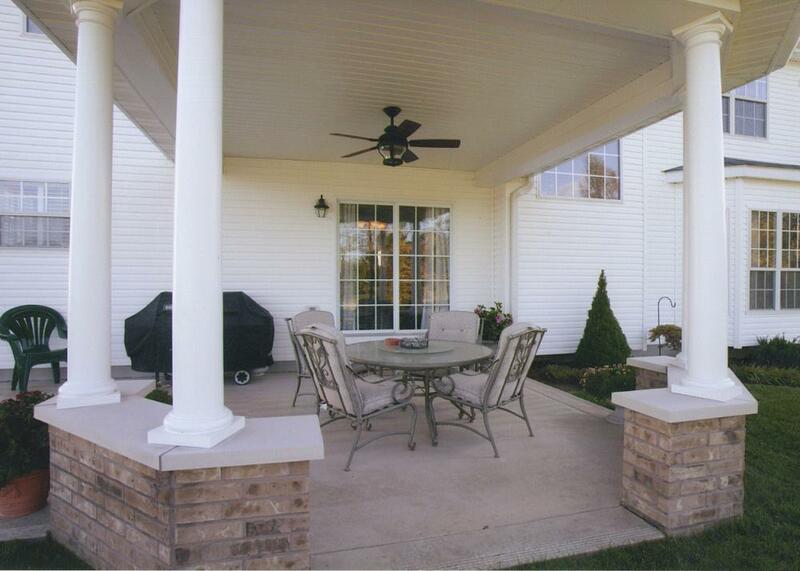 Mr. & Mrs. Glaze contacted Fulford Home Remodeling to complete their back yard with the addition of a Patio Cover. 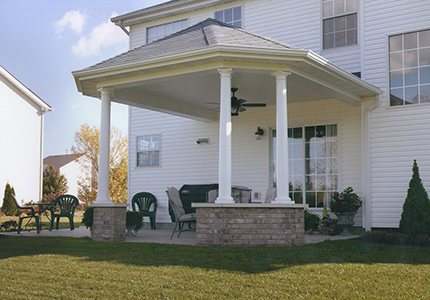 Fulfords' custom “3-D” design included a 14' x 15' patio cover complete with a “hip-style” roof construction, rot-free 8” round Perma-cast posts (set on top of brick walls & limestone caps), and a broom finished concrete patio. 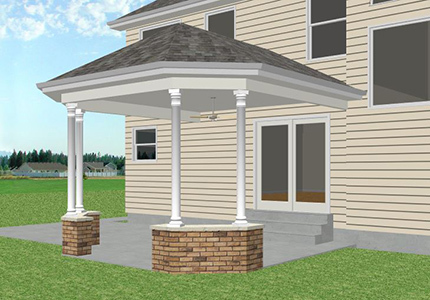 The cover was also designed with a light/fan combo for comfort/usage options, and included products that would reflect a low maintenance lifestyle.